I started genealogy research about 1976 BC (BC - Before Computers) helping my mother with her research, laboriously copying records by hand. My mother was an early adopter of computers for genealogy, using one of the first versions of PAF (Personal Ancestral File). When I took over the updating of the family tree, data was transferred between computers on floppy discs. When it was hinted that PAF may no longer be supported, I switched to Legacy. So what has this got to do with referencing and sourcing? The PAF file I started with had all the source details in the notes field, and that is how it got transferred to Legacy. I continued to just use the very basic features of Legacy, so all my source notes went into the general notes field. 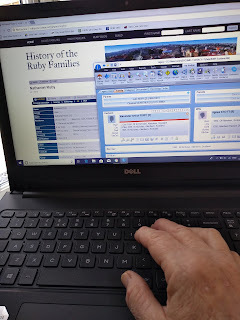 I started a new surname study, that grew rapidly - from a couple of thousand people to 70,000 in about 5 years – without ever using the “events” tabs or source lists, and would have continued that way if I hadn’t joined the team researching RUBY. - the advice given as I have submitted records for uploading. - only taking on one small family group which gives me a manageable set of records to work with. Will I now change the way I record my own surname study? 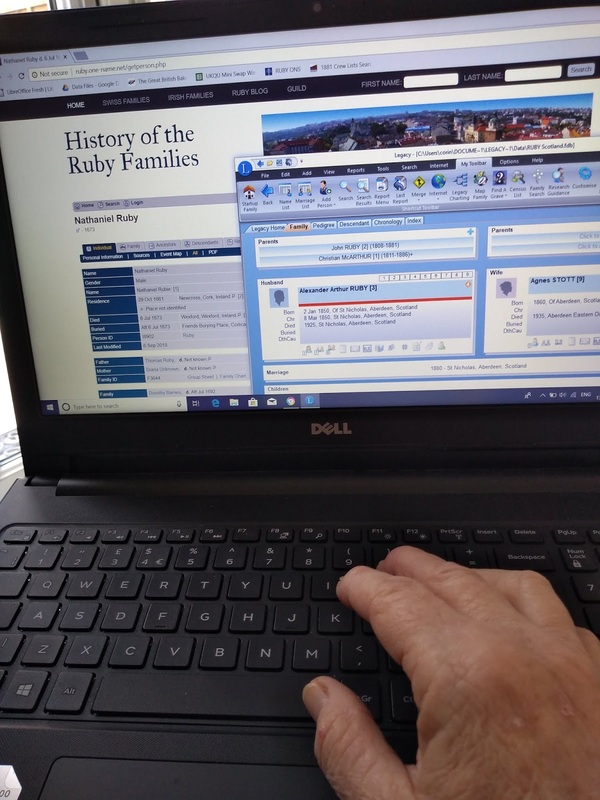 The thought of changing 70,000 records with an average 10 events each is overwhelming, but the RUBY research experience has shown me that I can do things a different (and better) way, utilising more of the features of my family tree software, so yes, I will change. Slowly, and a bit like eating an elephant – it is possible, if you take it one bite at a time (or one small family group at a time). Thank you to the RUBY ONS project for helping to improve my genealogy research skills.